I am back in Switzerland since last Friday. After unpacking all my stuff, doing the laundry ecc. I now have time to re-think the whole trip in Vietnam. The Ho Chi Minh Trail was one of the best parts of my four weeks in Vietnam, I think especially the fact that I was able to visit the back country, where usually no tourist ventures was amazing. 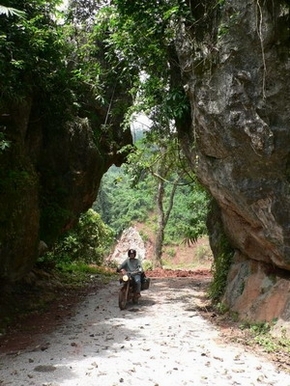 Further, I loved the "bad" roads, with the landslides and all. This was a good oportunity to get to know Vietnam. In one sentence: An excellent adventure off the beaten track!